Lee Watson grew up in the north and central parts of Mississippi, having lived in Meridian and Blue Springs. She graduated from the Mississippi School for Mathematics and Science before obtaining a Bachelor of Arts degree from William Carey University in Hattiesburg, Mississippi. There Lee double majored in History and Psychology and graduated in three years, all while working at a local law firm in Hattiesburg and participating in campus clubs and activities. 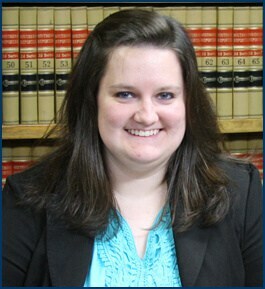 Lee then attended the University of Mississippi School of Law, where she focused on classes and programs that emphasized family law issues. In practice now, Lee still focuses on family law. Lee enjoys spending time with friends and family, being active in church, and Pinterest-inspired projects.